The radical Supreme Court ruling that Democrats may have been able to avoid. After calling an extraordinary special session, the Roberts Court is now debating whether to reverse decades of cases that allow the government to restrict the campaign spending of corporations. Defending the regulation of corporate speech, Elena Kagan, in her first argument on behalf of the Obama administration, made a strategic concession. Reflecting the strong belief among many conservatives (and some liberals) that efforts to restrict corporate speech in the name of equality can’t be reconciled with the First Amendment, she disavowed any reading of the Court’s previous cases that might be construed as an effort by the government to equalize the marketplace of ideas. Kagan insisted that restrictions on corporate campaign expenditures were better understood not as a way to prevent corporate speech from drowning out the speech of individuals, but as a way to prevent corruption or the appearance of corruption. But Kagan may have conceded too much. Everyone expects the Court to rule against the government’s effort to regulate Hillary: The Movie, a 90-minute, anti-Hillary Clinton video funded with minimal corporate funding; the bigger question before the Court is whether it should also gut the McCain-Feingold campaign finance law by overturning two cases that allow corporate campaign expenditures to be regulated more intensely than expenditures by individuals. By focusing on the possibility of corruption, Kagan stressed the justification for campaign finance regulations that has appealed to the greatest number of justices in the past--but it’s a weak argument in cases like this, where truly independent ideological corporations aren’t interested in making corrupt quid pro quo deals with the candidates they’re supporting. It’s possible, however, to defend the regulation of corporate speech in a way that respects the First Amendment--and that does not make implausible assertions about quid pro quo corruption or constitutionally questionable claims about the need to level the playing field for rich and poor speakers. When citizens believe that they have no ability to influence public debate because the free speech market is so unfairly dominated by wealthy corporations, individuals may lose faith in their ability to participate meaningfully in politics. By emphasizing this argument--which has less to do with equality than democratic legitimacy--Kagan might have made it harder for the conservative majority on the Court to issue a radical ruling that could reverse decades of precedent and threaten restrictions on corporate speech that have been embodied in federal law for more than a century. Hasen calls Austin “the first and only case in which a majority of the Court accepted … the equality rationale as a permissible state interest.” That’s why the conservative justices on the Roberts Court seem poised to overturn it, and why Kagan was reluctant to defend the case in explicitly egalitarian terms. But there is a subtler way of defending the Court’s focus on the “distorting effects of immense aggregations of wealth”--and it has to do less with equality than with democratic legitimacy. In The Constitution in 2020, Robert Post, the new Dean of Yale Law School, rejects an egalitarian defense of campaign laws, on the grounds that if the government attempts to prevent speakers with intense convictions from drowning out those who are less engaged, it would thwart one of the basic principles of self-government: namely, that individuals should be able do whatever they think necessary to convince the public to embrace their views. But that doesn’t mean, Post emphasizes, that a democratic interpretation of the First Amendment should prohibit all campaign finance regulation. If people come to believe that public debate is so “unfairly dominated by wealthy speakers” that they have no realistic chance of influencing public opinion, regulating campaign speech might be justified as a way of promoting not equality but democratic legitimacy. In other words, the democratic interpretation of the First Amendment says that huge corporations shouldn’t be allowed to blanket the airwaves with ads that create the impression that most individuals have no realistic opportunity of persuading the public to respond to their views, no matter how hard they try. Kagan hinted at this democratic interpretation of the First Amendment when she told the Roberts Court that “when corporations use other people's money to electioneer, that is a harm not just to the shareholders themselves but a sort of a broader harm to the public that comes from distortion of the electioneering that is done by corporations.” The appropriation of Louis Brandeis’s phrase, “other people’s money,” was especially apt, but Kagan didn’t have the chance to make explicit Brandeis’s populist objection to the curse of corporate bigness, and its distorting effects on the democratic process. But although Kagan chose for strategic reasons not to emphasize the democratic interpretation of the First Amendment, which a majority of the Court has not explicitly embraced, it might appeal more to libertarian justices like Anthony Kennedy than her arguments about the need to protect dissenting corporate shareholders from having their money spent on behalf of causes they may not support or understand. 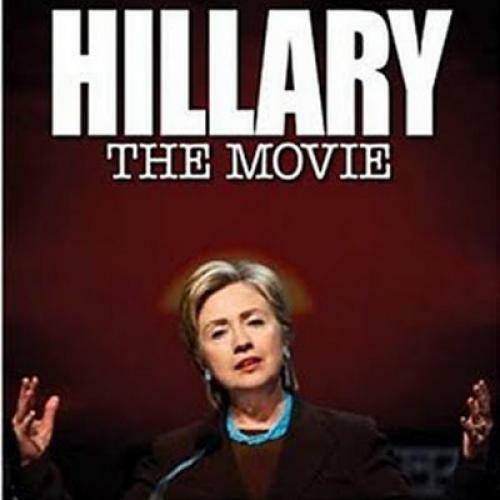 If the Supreme Court embraced a democratic interpretation of the First Amendment, it could affirm the longstanding restrictions on corporate speech while still ruling in favor of Hillary: The Movie. (Like books, on-demand videos that subscribers specifically request are very different than corporate-funded TV ads that bombard unwilling viewers: They don’t undermine democratic legitimacy by sending a message that individual voters have no chance of getting a fair hearing for their views.) A minimalist ruling along these lines, while a nominal defeat for the Obama administration, would leave the structure of campaign finance regulations in place. By contrast, a broad ruling that overturns decades of precedents and calls into question that government’s ability to regulate corporate speech would be hard to defend under any definition of judicial restraint. As Justice Breyer has suggested, when citizens can plausibly disagree about what sort of speech regulations encourage “the public participation and open discussion that the First Amendment itself presupposes,” the Court should defer to the political branches--not in the name of equality, but of democratic legitimacy.